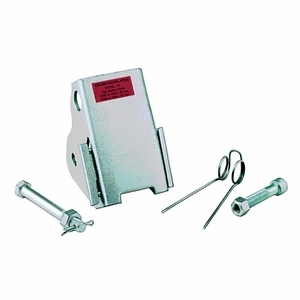 These are heavy-duty latch kits made from hot-dip galvanized steel. They are easy to operate, with a "flapper" lever design that indicates whether the latch is locked or unlocked. Assembly instructions are included with each latch (they ship unassembled). These latches do not work with "N" style hooks from Crosby, including the 319N, 320N or 322N.